The Lazy M Ranch, owned by MK Marlow CEO, Mark Marlow, recently opened its gates to Cross Trail Outfitters (CTO), a non-profit Christian youth hunting and fishing program. Through the generous support of landowners, the youth participating in the program learn about the heritage of hunting and fishing while sharing their faith. CTO coordinates with owners who provide the land for hunting, fishing and other outdoor events. Policies and procedures, volunteer screening, training, insurance, and strict supervision of youth participants combine to create protection for participating landowners; doing all this in a way that still allows for great fun and meaningful impact for the kids. CTO offers a wide range of year-round outdoor activities and is primarily for boys, ages 7-20 although there are also opportunities for families and girls to participate. 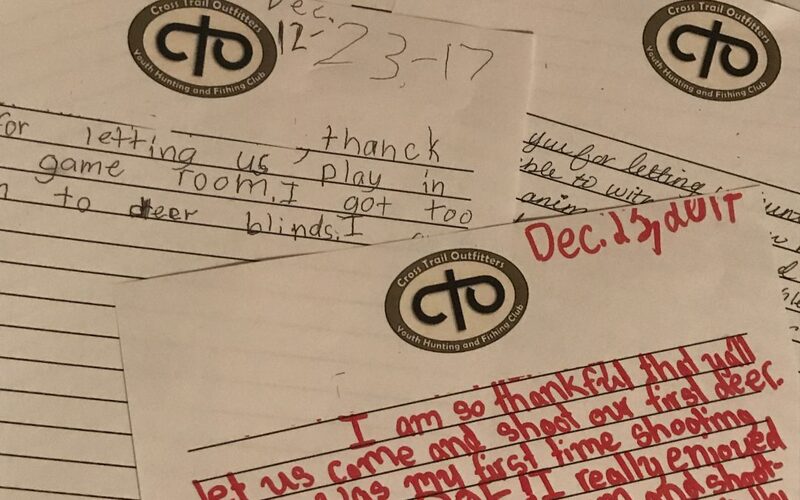 In 2017, CTO Texas provided over 1,300 opportunities for kids to participate, spending 141 days in the field with youth and celebrated 29 kids accepting Jesus Christ. Businesses, landowners and individuals interested in learning more can contact CTO Texas State Director Kevin Potts at 210-372-3580. Learn more about CTO at www.teamcto.org/texas.